Central Language School offers General English, Intensive English, Part-Time and Exam courses. Information on each of these courses can be found using the menu on the right. What time of the year should I study? We welcome students all year round and close only over the Christmas period. Although this is when we have higher student numbers, the prices are the same, and classes are still a maximum of 10 students only. The weather is usually very sunny in Cambridge at this time so students can enjoy having picnics in the beautiful parks and the school organises other social activities in the afternoons or evenings. Students who prefer a smaller class (on average 6 students) choose to come in these seasons. The school still offers social activities throughout the week. Your course may depend on your level, so we give you a placement assessment when you arrive. 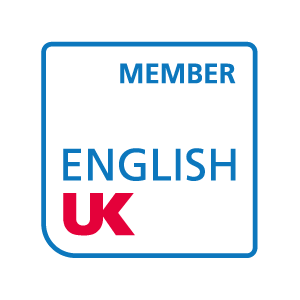 You can also take the Cambridge English test, which will tell you which exam you may be able to prepare for. This is only a guide, so we will advise you while you take a course. Our Full-time courses are called General English (15 hours tuition per week) or Intensive English (21 hours tuition per week). Lessons are every morning from Monday to Friday, 09:30 until 13:00 with a coffee-break at 11:00. If you choose Intensive English there are also classes on Tuesday, Wednesday and Thursday afternoons between 14:00-16:00. We also offer some different Part-time course: at any time of year you can study on our Afternoon Course, which is the afternoon part of Intensive English, as above. At certain times of the year, we offer the part-time Beginners Morning course on Tuesdays, Wednesdays and Thursdays from 09:30 to 11.00. There are social afternoon or evening activities for any of our students, offering extra practice in spoken English. You can start on any Monday (except public holidays) for a minimum of one week. Most students study 4–12 weeks. Some students study for up to one year. We can advise you on the length of course needed to achieve particular goals. The maximum class size is 10, but usually there are between 5 and 7 students per class. When you arrive at the school you will do a Placement Test to assess your level. You will then be placed in a class according to your grammar level, speaking ability and personal aims. Using different course books you will study English through a variety of topic areas with an emphasis on spoken communication. This involves pair-work, discussions and role-play. You will also have the opportunity to extend your vocabulary and consolidate your knowledge of grammar.